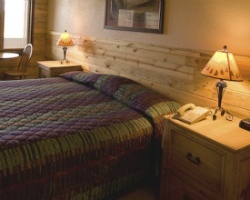 Come to the Colorado Rockies for an unforgettable vacation experience at Inn at SilverCreek. Winter offers famous Colorado skiing at the SilverCreek or Winter Park ski areas. There is ice-skating on the resort's ponds, or snowmobiling and cross-country skiing are only minutes away. Ice fishing is also available a short distance away. Swimming, tennis, and biking are a few of the resort's summer activities available. Rocky Mountain National Park offers a beautiful setting for hiking, fishing, or wildlife viewing. Three mountain lakes offer fishing, boating, and windsurfing. Explore the beautiful Rockies! Stay in this cozy resort every year in October week 41! Buyer may receive a title fee credit, inquire for details! 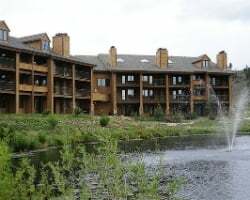 All-seasons resort in the Colorado Rockies! Buyer receives complimentary closing credit; inquire for details! Sale includes 6 floating weeks! Year round resort with many activities to enjoy! Buyer May Receive A Title Fee Credit, Inquire For Details! Great, year round resort! Choose a different week every year! Buyer May Receive A Title Fee Credit, Inquire For Details! 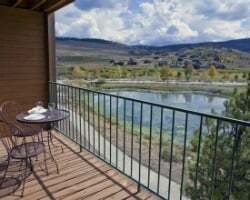 Enjoy week 21 at this lovely Silvercreek, Colorado resort each year! Buyer may receive a title fee credit, inquire for details! Enjoy green season week 35 in Colorado! Outdoor lover's paradise! Ability to trade week in for a different week at different location! 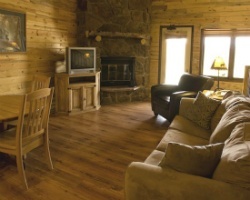 Classic Colorado getaway located in the heart of the Rockies! Inquire now! Explore Colorado during week 3! Plenty of outdoor activities available! With RCI membership, week exchanges for 64,100 RCI points for global exchange! Buyer may receive a title fee credit, inquire for details! Peaceful Colorado getaway in the heart of the Rockies! Week 20! Buyer may receive a title fee credit, inquire for details! Perfect resort option for winter and outdoor sports lovers! Week 46! Buyer may receive a title fee credit, inquire for details! We no longer ski!! $1,000 or best offer. Plenty of outdoor activities! Buyer May Receive A Title Fee Credit, Inquire For Details!